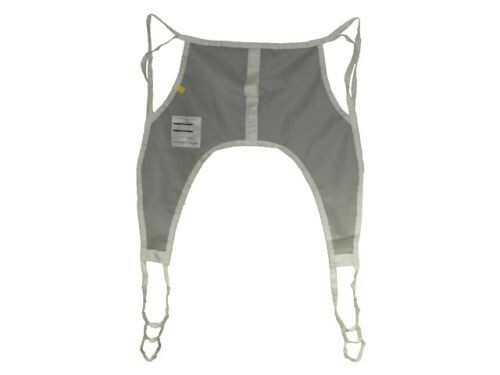 The Hoyer Nylon Mesh 4-Point Bath Sling, by Joerns, is a sling designed specifically for Hoyer lifts to assist caregivers moving patients from a seated position into and out of a bath area. The manufacturing of this sling ensures that it is both comfortable, durable, and has the ability to dry quickly after getting wet. 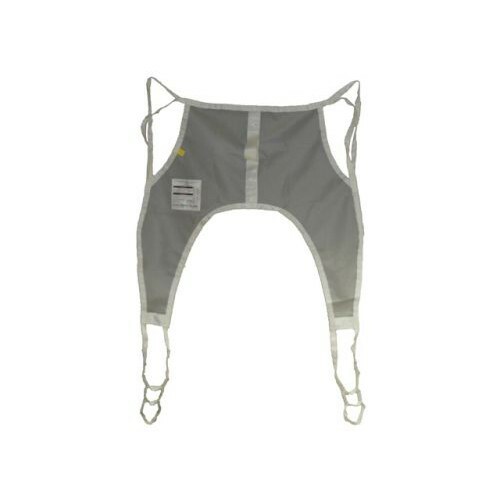 The Hoyer Nylon Mesh sling is ideal for wet environments. Sizing is quick and easy to reference with these transport seats as well as other Joerns lift slings. The border material is color coded to match the size, so when multiple sizes are ordered, it is easy to visually separate the appropriate size needed to match the patient. The design of the lift sling has been carefully calculated to ensure the correct posture and comfort for the resident. The slings with head support ensure correct head positioning during transfer, and both styles have a centerline marker at the front of the sling to help caregivers position the body for a balanced lift. The sling has a four-point connection to attach to a Hoyer cradle for optimal balance and support. The sizes are color-coded for easy identification. The nylon material dries easily after lowering residents into a bath. The seat has a centerpoint marker to keep the resident's body balanced during the lift. Maximum Lift Capacity: 600 lbs.